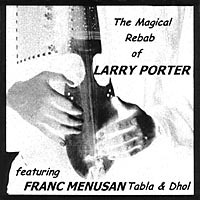 Larry Porter and Franc Menusan first met in New York in 1977, when Larry returned from his journey through Central Asia and India. This recording grew out of work they did together over a period of several years in the late 90s, including a steady weekend gig at A Taste Of India restaurant on Bleecker Street in Greenwich Village. During this time, they built up an extensive repertoire of Afghan and Indian songs, a cross-section of which is represented on this CD. FRANC MENUSAN is a multi-talented artist who has not only mastered many North Indian and Central Asian instruments, but is also well known for his work in Native American music, education, and story-telling. He spent many years studying vocal music, percussion, and various stringed instruments of India. His principal teachers were V.G. Srimati - vocal, K. Paramjyoti - tabla, and Vasant Rai - sitar. 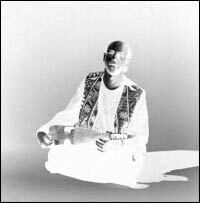 While best known for his astounding sitar playing, Franc also plays rudra vina, surbahar, dilruba, rebab, tanbur, tabla, and dhol. 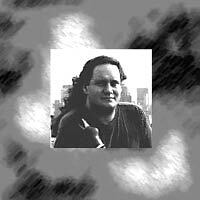 Since the mid-70s, he has played an important role in the World Music scene in New York City. He recorded his own double album, The Divine Sound of the Rudra Vina, and can be heard on many CD recordings including Powaqqatsi by Philip Glass, Absolute World with various artists, Cooler Heads Prevail by Akira Satake, and Cronologia by Peter Scherer. Franc, who is of Creek-French Metis heritage, also appears as an actor in the film Ghost Dance by Eric Stannard about a Native American who lives in New York City.